This week I mainly picked out outfits with casual layers so I could stay warm at the office but still look put together. 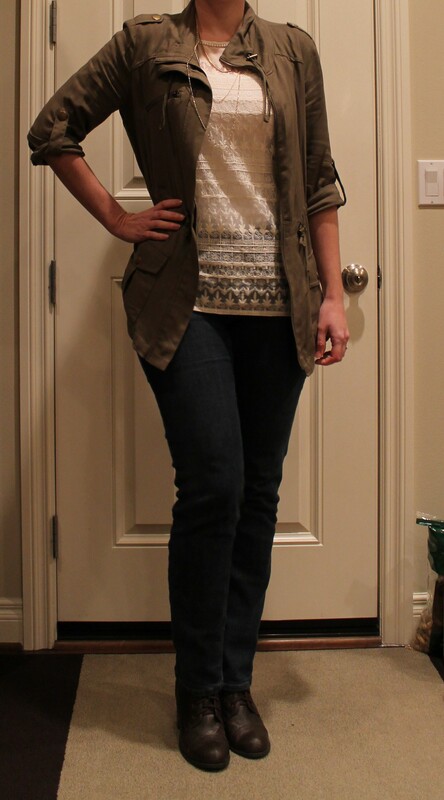 Here I’m wearing a new faux layered look top from LOFT, and a necklace I made from my January “For the Makers” kit. 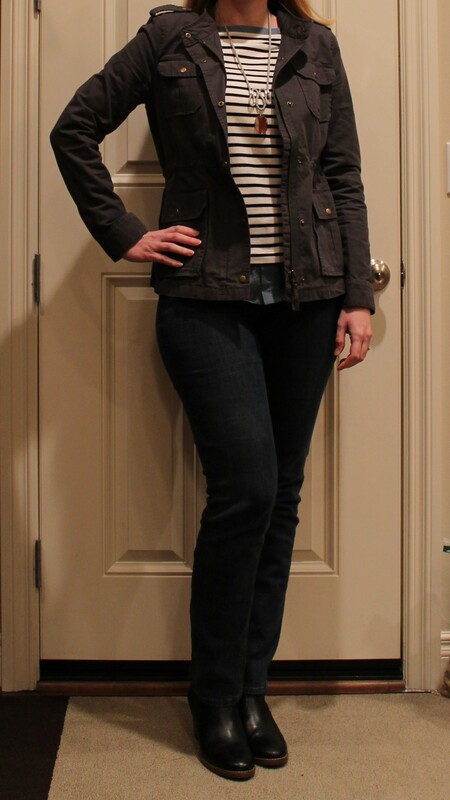 The top is really comfortable and gives the look of layers without the bulk. 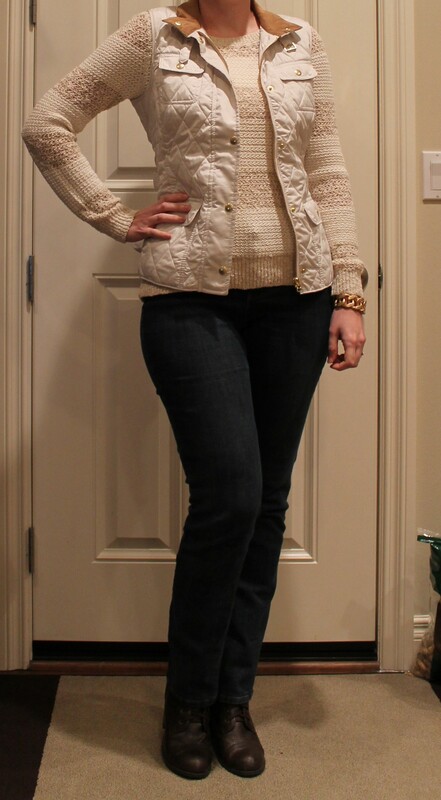 I got this lace blouse from Golden Tote , and the jacket is from Kohls. The delicate layered necklace is from H&M. I got this quilted puffer vest from Banana Republic last weekend and the coordinating sweater on the same shopping trip. I had actually been looking for a puffer vest I saw in the H&M catalog, but the store I visited didn’t have it. When I saw this in Banana Republic I tried it on and knew it was a keeper. Everything in the store was 40% off and I had an additional $40 gift card so I got a great deal on it. 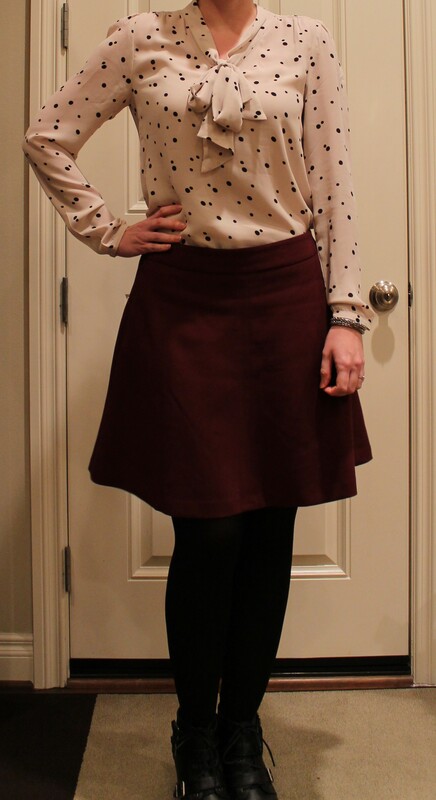 This outfit was actually layered as well, but I took off the black faux leather jacket for the photo so you could see the cute pattern on the blouse. The blouse and skirt are both from LOFT.